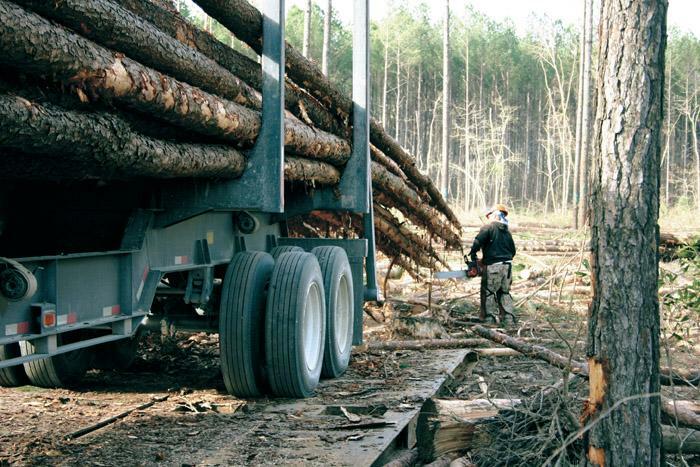 Southern Loggin’ Times’ July issue spotlights Alabama’s T&W Logging, where owner William McConnell has been able to fulfill his childhood dream of being a successful logger. 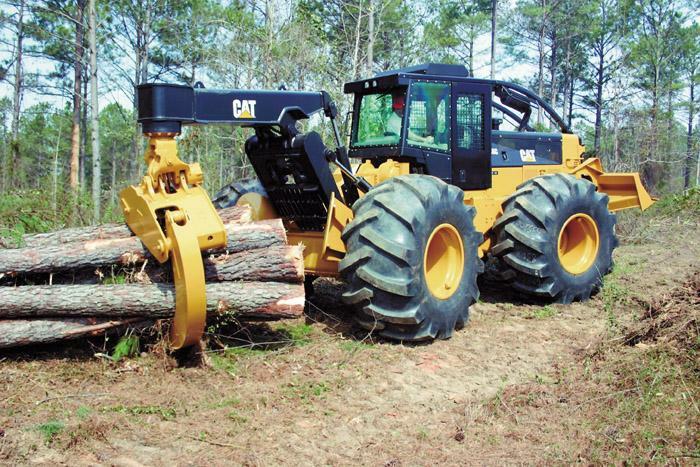 Also featured are Ritter Logging, located in South Carolina, an area of high labor turnover that has caused contractor Rudy Ritter to start fresh with a new crew, and W&W Felling, which is teaming up with central Tennessee loggers to overcome challenging conditions. The issue provides a recap of the Mid-South Show. Continue reading Red Hills and Cotton, an Upcountry Memory. For many loggers, finding and keeping good labor has always been high on the list of routine problems. Reliable and qualified operators who can meet production standards, know how to operate and maintain the equipment, and are willing to do the work—and do it for what they get paid, usually with few if any extra benefits like health insurance—just aren’t that easy to come by, and sometimes even harder to keep. I remember when big business first moved into our uplands, when corn fields and cotton patches in the edges of towns were cleared and rows of cabins were built about red brick barn-like structures, designed like other red brick barn-like structures in Pawtucket and New Bedford. Lying in a feather bed in winter, I sometimes would wake up and hear the whistles blowing—long before day—and I still remember how uneasy I would feel. 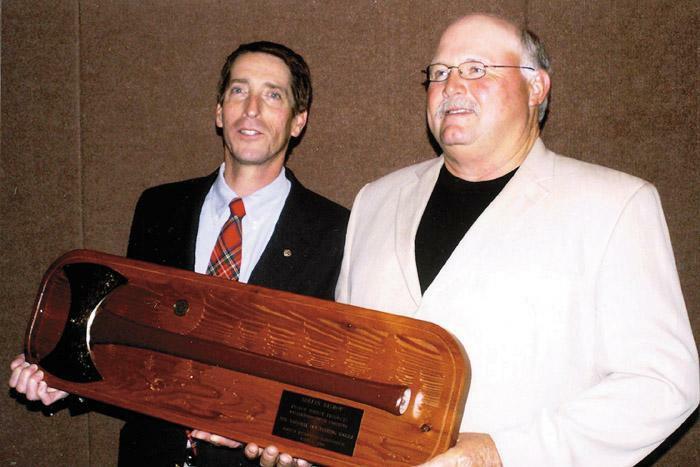 Shortly after being recognized as Tennessee Logger of the Year in 20­­04, Tim Carroll, a 30-year veteran logger, shut down his logging crews. 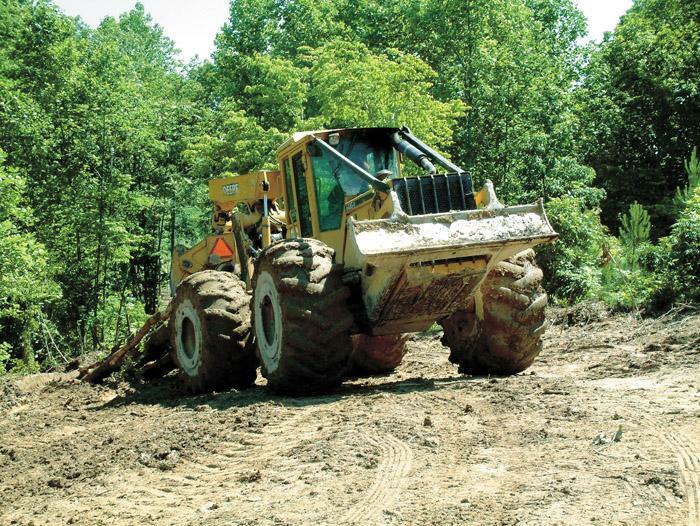 sold his trucks and most of his equipment and then went to work for Forest Marketing Group (FMG) to manage and procure timber for the company’s Centerville, Tenn. office. 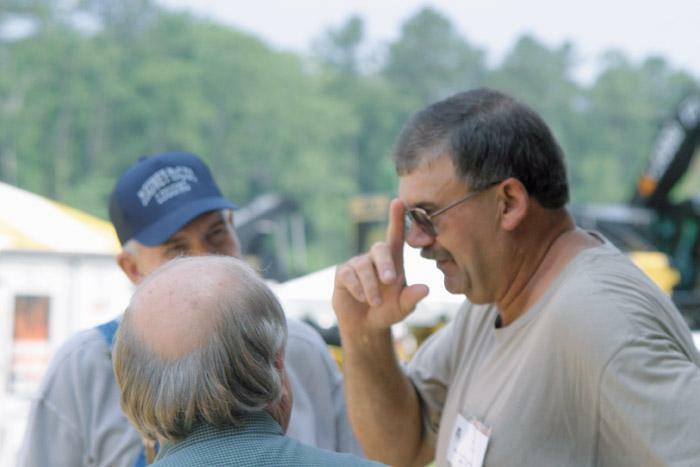 Several things stood out as attendees meandered through extensive exhibits on the 60-acre site of the biennial Mid-South Forestry Equipment Show, held June 2 and 3 at Mississippi State University’s John W. Starr Memorial Forest near here. Roughly 50 Southeastern loggers from South Carolina to Texas attended a Logger’s Roundtable held in conjunction with the Mid-South Forestry Equipment Show in Starkville, Miss. The meeting was held June 2nd at Dorman Lake Lodge in the John W. Starr Memorial Forest. 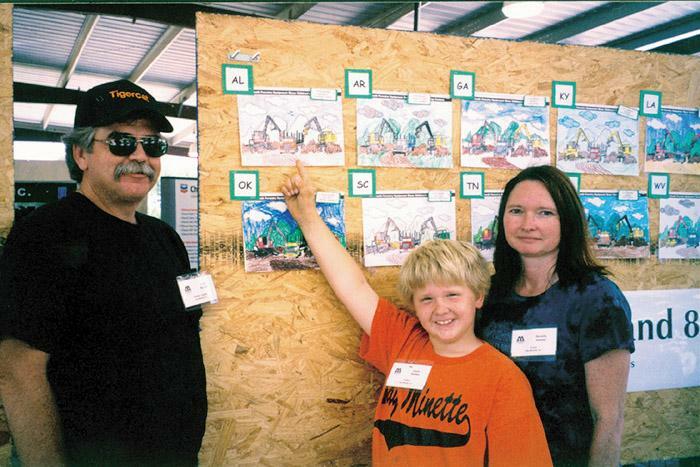 Scotty Nobles, son of Justin and Beverly Nobles, Bay Minette, Ala., points out his winning entry in the 7-8 year old category of the Mid-South Forestry Equipment Show’s Children’s Coloring Contest. 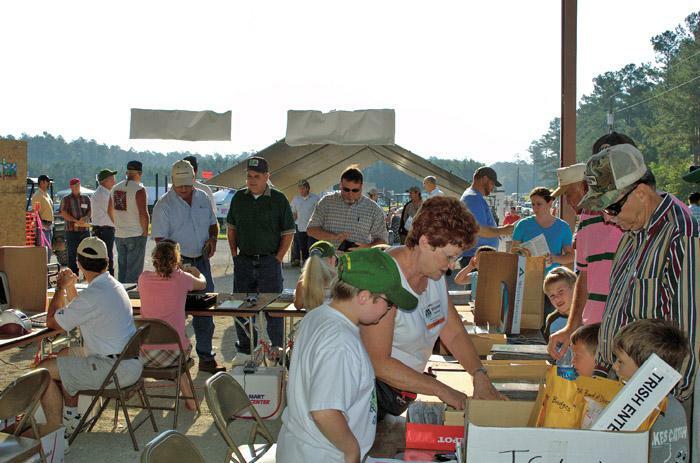 Approximately 150 kids from Texas to Maryland entered the contest, a promotional event for the June 2-3 show held near Starkville, Miss. 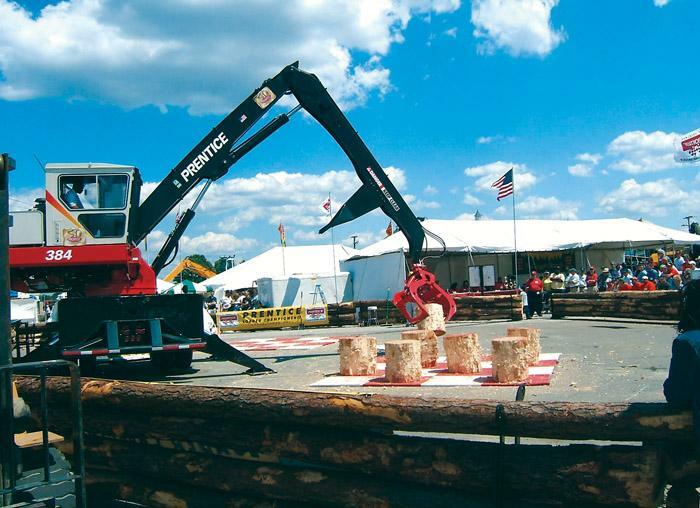 Introduced in 1972 at the East Coast Sawmill & Logging Expo in Richmond, Va., the Prentice Loader Championship is a contest in which loggers demonstrate their skill with the loader by moving stumps from one 12x12 foot checkerboard to another. At its annual meeting in Orlando, Fla. in early June, the Forest Resources Assn. installed a new Chairman, Jim Brody, Temple Inland Inc.’s Vice President-Forest, and subsequently honored several others at its awards banquet. 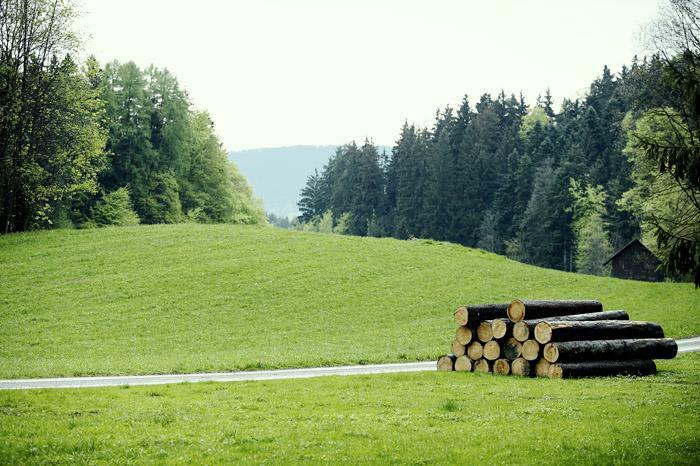 A truck driver was binding down a tractor-trailer load of hardwood logs at a timber harvesting operation on a clear, hot spring day in the southern Appalachians. The Caterpillar 525C, 535C and 545C Wheel Skidders are all powered by the Cat C7 engine with ACERT Technology, which delivers emissions compliance, superior fuel efficiency and proven reliability and durability.